Masterworks like Michelangelo’s beloved David and Botticelli's lovely Birth of Venus illustrate how Florence flourished during the Renaissance. And while those pieces of art are enough to draw you to the western Italian city, more beauty awaits — especially in the form of material goods. 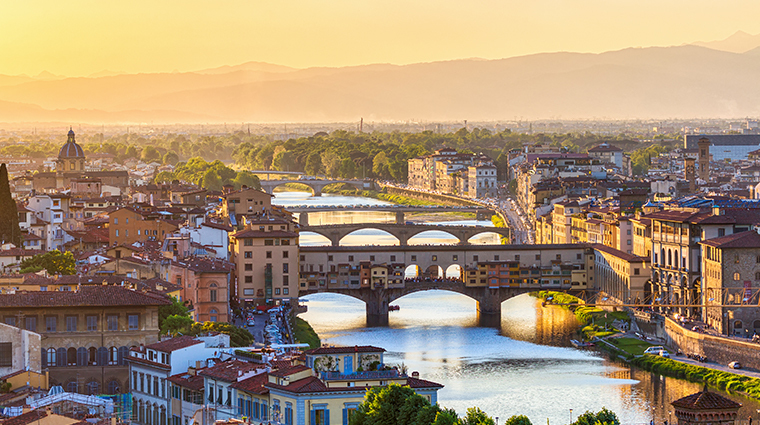 Stroll along Via Tornabuoni for wearable art in luxury stores like Gucci, Prada and Cartier, and cross over Ponte Vecchio to look at shop cases filled with gold jewelry. Visit the Scuola del Cuoio (School of Leather) in Piazza Santa Croce to sift through handmade handbags or climb the Duomo’s 463 steps to get a closer look at the stunning frescoes. Even some of Florence’s hotels display museum-quality artwork of their own. Around every corner, there’s something beautiful to discover.